Built in 1901, this is the oldest Kabuki theatre in the Kansai region. It is the oldest Kabuki theatre building in Japan that is still standing in the same place it was built. After being closed in 1964, this Kabuki theatre was restored and reopened to the public in 2008. 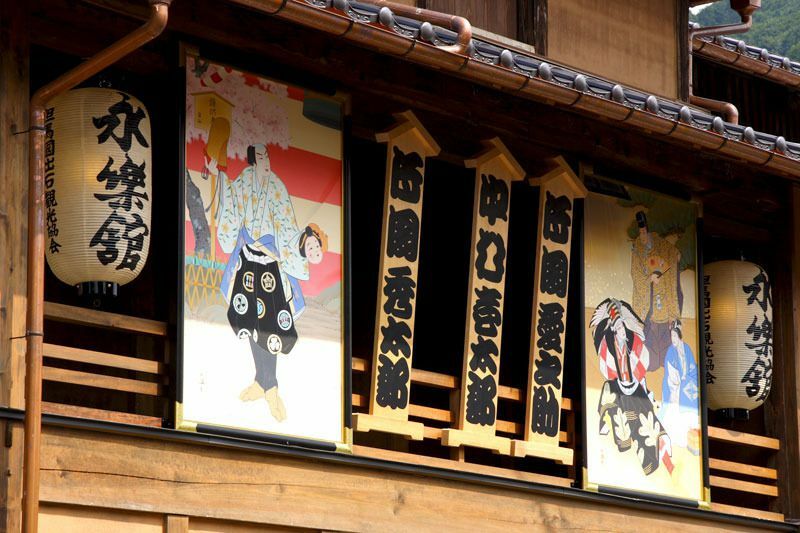 Various performances such as grand Kabuki, Kyogen, and Rakugo are performed even today since its restoration. With its reopening, tours began letting visitors see the features of the Kabuki theatre up close. Visitors are taken behind the scenes on a guided tour, where they can see the main runway, the original production signs, below the stage, and into the dressing rooms. 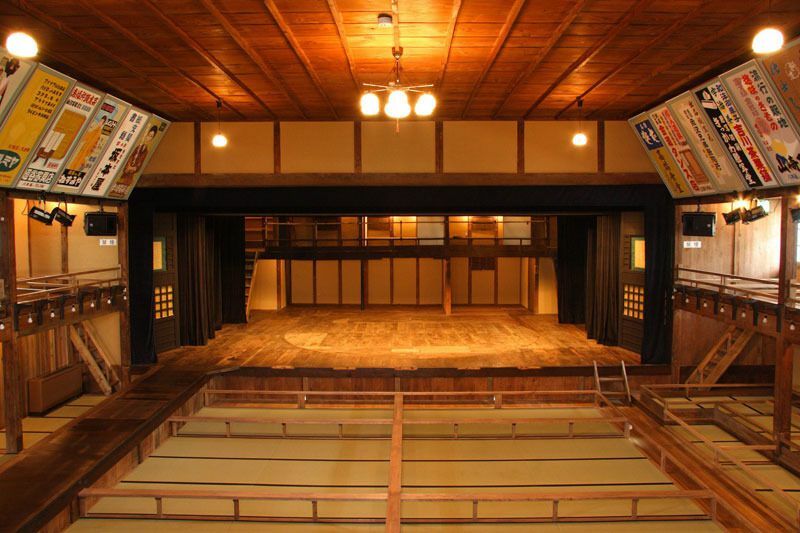 This Eirakukan Kabuki theatre is still in use today, with performers of Rakugo (storyteller performances), Kabuki, and others taking to the stage every year in this impressive Kabuki theatre. Stepping into the Eirakukan Kabuki theatre feels like slipping back 100 years in time. Visitors are able to stand on the Kabuki stage and take photos. 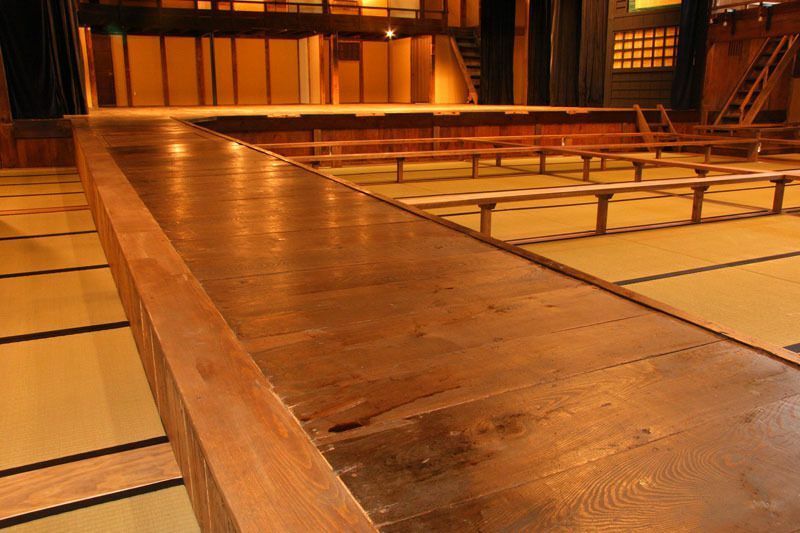 Standing on the Kabuki stage will make you feel as if you are one of Eirakukan’s many famous performers. Take a tour of the behind-the-scenes aspects and discover the interesting stage tricks of the world of Kabuki theatre. The Eirakukan Kabuki theatre is located in the Izushi area, which is about 30 minutes by bus from Kinosaki. 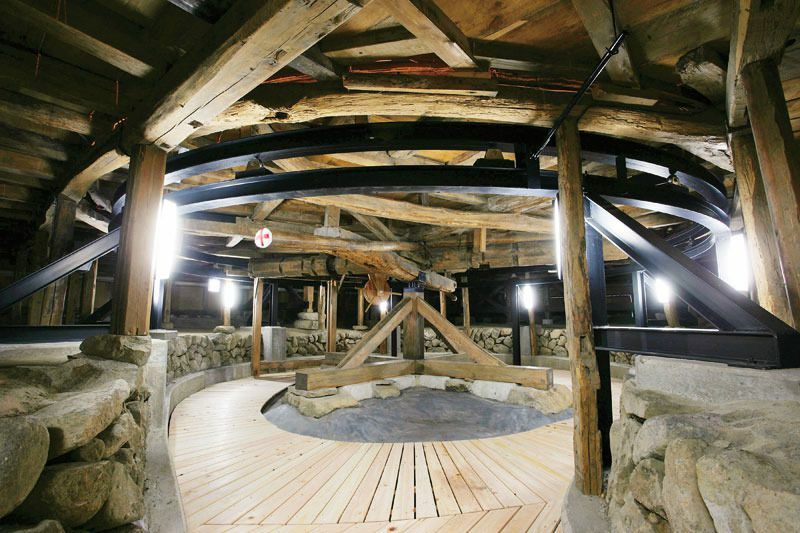 SOZORO, the tourist information center at Kinosaki Onsen, prepares Izushi tours for travelers. This is the main area of Eirakukan. Look out from the stage out onto the house seating for an exhilarating view. Side stage is named Hanamichi (flower road). Hanamichi was named after the Kabuki actors who looked beautiful like flowers in their exquisite Kabuki clothes. 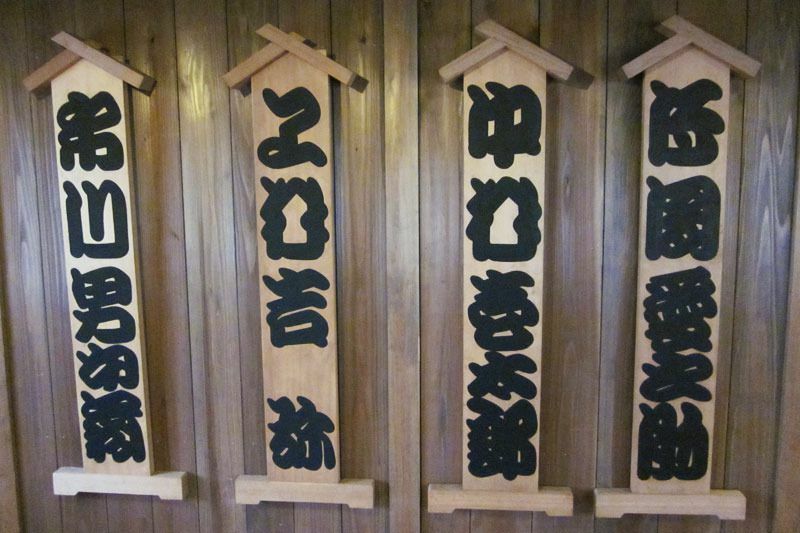 The names of featured Kabuki actors are written on these wooden plates. They compliment the theatre's old-fashioned style. 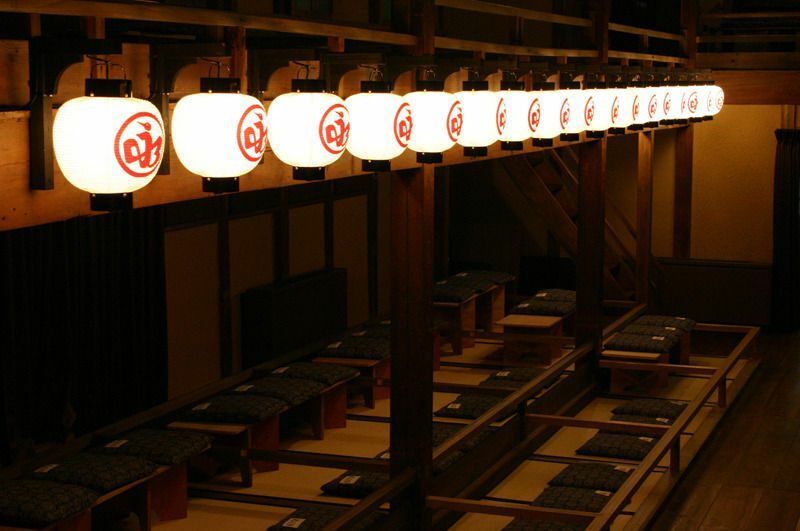 A nostalgic light shines from behind the logo mark of the Kabuki theatre's lanterns. The synopsis of Kabuki plays were illustrated in these drawings, but today posters are used instead. These can be displayed above the main entrance during November. 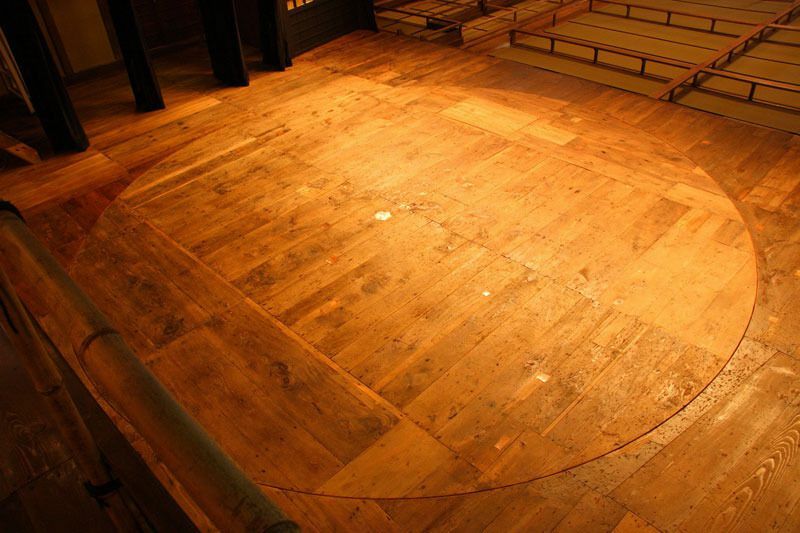 View of what the revolving platform on the Kabuki stage looks like from the top. This is used to change the play's set. In order lo be able to change Kabuki scene quickly, the stage can be rotated manually from below with a contraption that reaches 6.6m in diameter. Incidentally, the Japanese word for underneath the Kabuki stage is “Naraku” , which can also mean “Hell”. Literally translated to "flower path". This is a walkway that projects out through the audience from the back of the Kabuki theatre to the stage. The hanamichi is used the Kabuki actors to make dramatic entrances and exits. 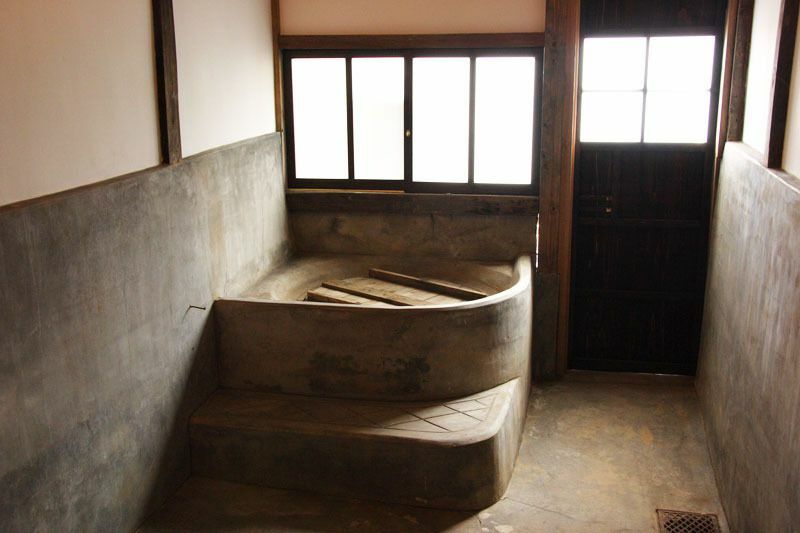 An old bath found in the Kabuki theatre. An iron bath is heated by a fire below. Kabuki actors would use this place to wash off their make-up and take a bath. In the corner of the room, the pump used for water still remains. Open 9:30am to 5:00pm (doors close at 4:30pm). Closed every Thursday and December 31 to January 1. This site is in Japanese. Tours: Adults 300 yen, students 200 yen (group 160 yen/person), children (under 12) free See home page for performance schedules and ticket prices.